As co-founder of the Children's Television Workshop (now Sesame Workshop), "the single largest teacher of young children in the world," and the originator of Sesame Street, Joan Ganz Cooney is a television pioneer whose work has had enormous influence in the world of education and entertainment. 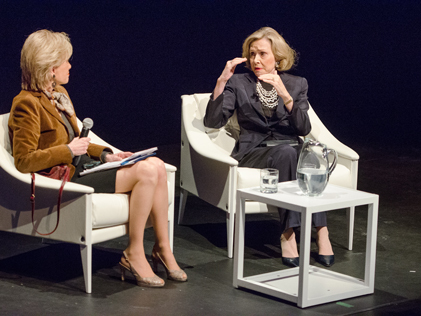 Cooney sat down with 60 Minutes reporter Lesley Stahl at the Museum of the Moving Image to discuss her remarkable career, advancing children's learning in the digital age, working with Jim Henson, and the significance of Sesame Street's multicultural urban setting. Cooney and Stahl share their feelings about the barriers that they broke for women in the industry.